The surface magnetic lock uses an electrical current to produce a magnetic force against the door frame and the leaf, securing it in place. What's different about these products to other mechanical locks is that you won't require a key; all you simply have to do is rely on your access control systems to allow you to gain access through the door. 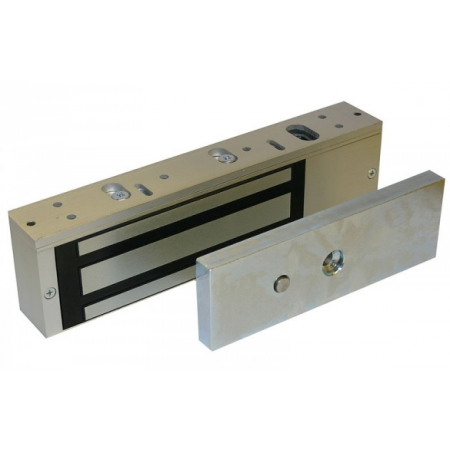 The Deedlock 600kg Surface Magnet Lock Superior Duty 12/24v DC is perfect if your door has a holding force of 600kg. You can even have a dual action of 12 or 24V DC on your surface magnetic lock, which is an uncommon feature for other magnetic locks.